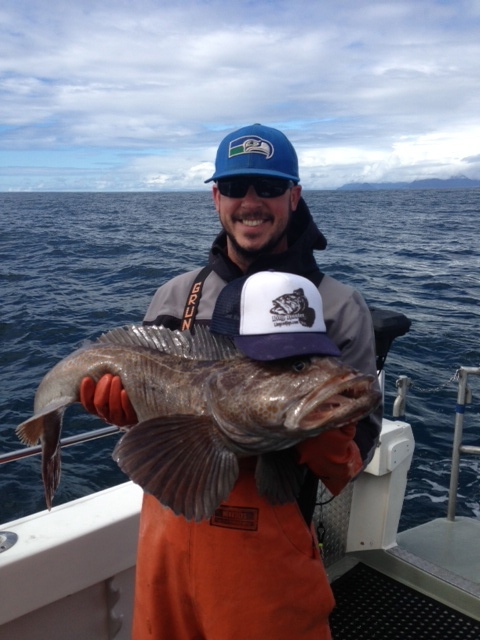 Lingcod jigging along the pacific west coast is now in full swing! Landings up and down the coast are reporting absolute great fishing for ling cod and other rock fish. Right now is prime time to get out on a boat and fish for these tasty and fun to catch fish. 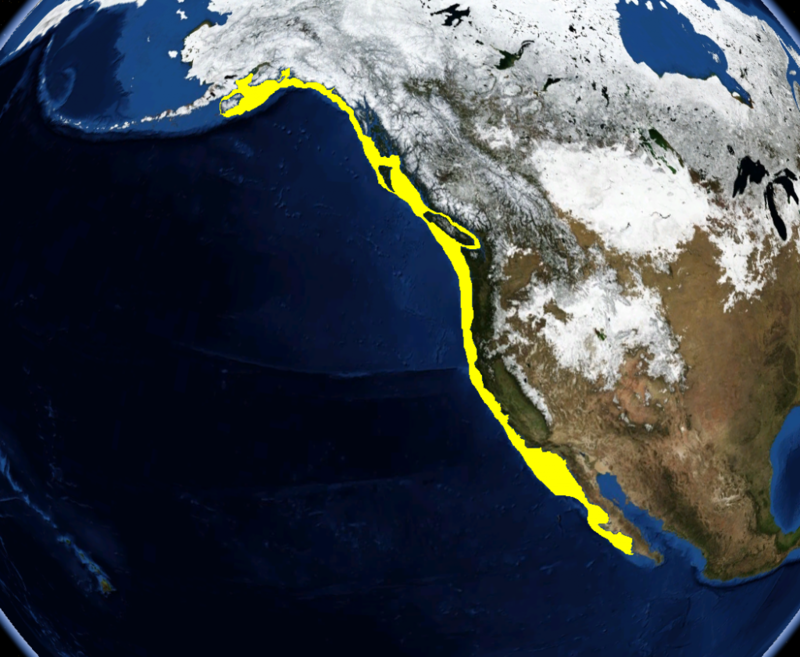 Ling cod have a broad range of where they can be caught from Alaska to baja california. 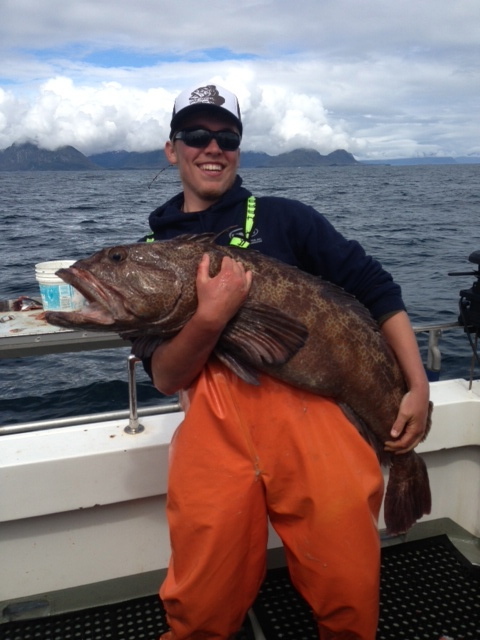 Ling cod get the biggest in alaska where fish over 50lbs can be caught. While many landings offer live bait on these ling cod fishing trips, heavy ling cod jigs seem to always produce that jackpot fish. Fishing with jigs takes a little more patience as you may not be catching the smaller rock fish everyone else is on the bait. 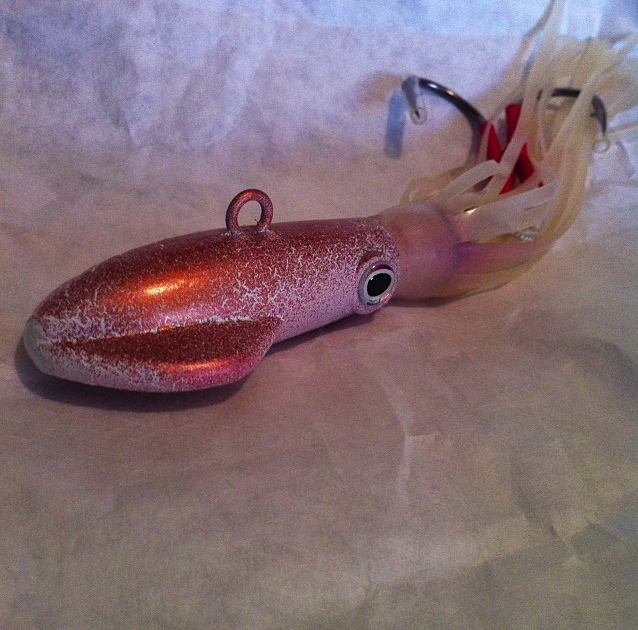 But if you can resist the urge to switch to anchovies or cut squid, chances are if there is a big ling cod in the area it will hit that larger jig that your fishing! So dont give up, keep on jigging!!!! 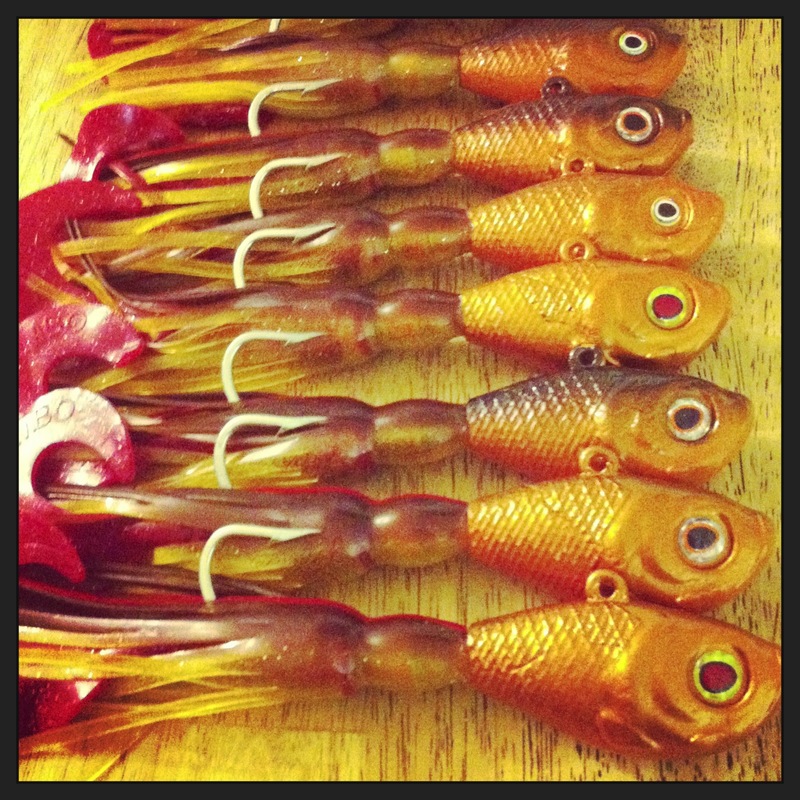 New Copper color LINGCOD JIGS made with internal rattle Drives the Lingcod wild! These new ling cod jigs have incorporated an internal rattle into the heavy 8oz head which in results so far have outperformed other jigs 4 to 1 in fishing trials! 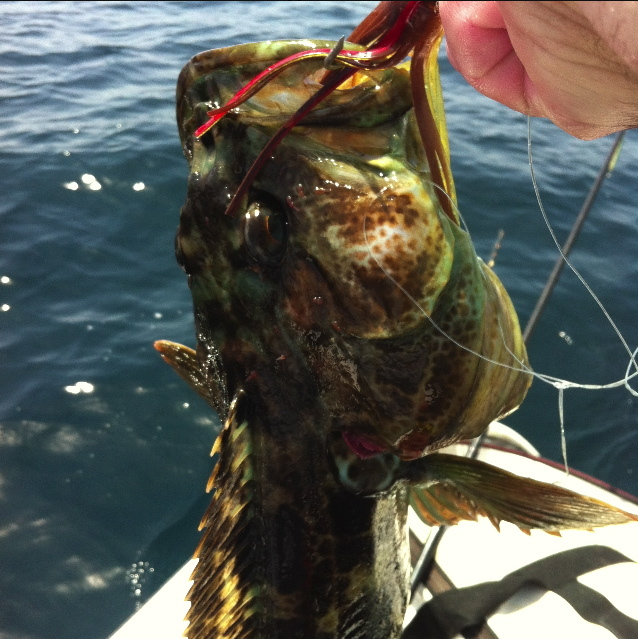 Lingcod are very aggressive territorial fish and when these jigs come along they really seem to piss off the Lingcod! 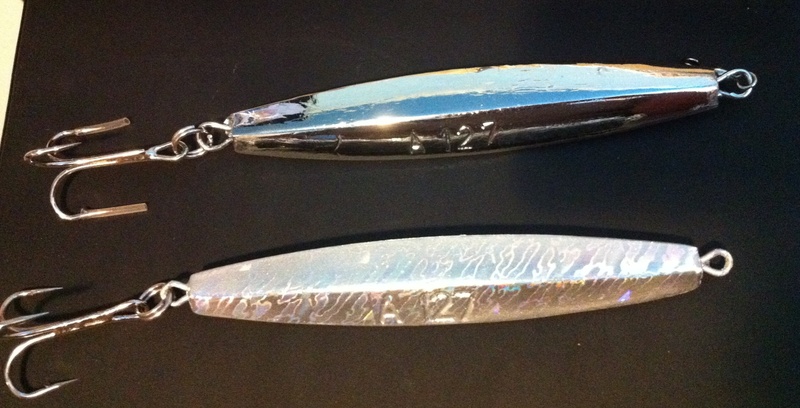 Ling cod strikes are very ferrocious but when they hit these jigs it seems even Harder! 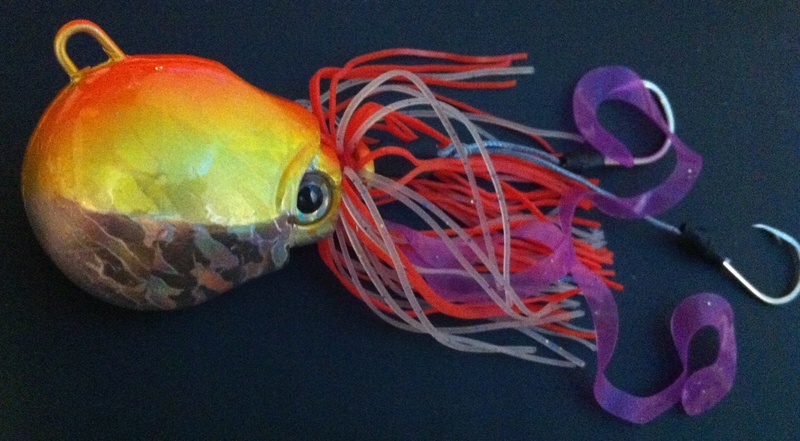 When fishing for lingcod with these jigs we suggest fishing them them right on the bottom, jig them up and down banging them off the rocks to cause more noise and vibration. Make sure to hold on tight as that strike can surprise you! Tight Lines and Bent Rods!! Caught over 12 ling cod on our first trip using the Rattling Copper Lingcod Jig! With the new jigging rod technology and new ling cod jigs made specifically for lingcod fishing it is much more sporting and enjoyable to fish for rockfish. The new light weight rods and light spectra line makes for a fun day of fishing for rockfish and ling cod. The new Japanese style short stiff rods for this style fishing work great! Find a nice rockpile or pinnacle and set up to drift over it. Let your jig sink to the bottom and lift up and down . With ling cod you will feel a violent strike and often times they will hit your lure as it is falling as we’ll as you are lifting. 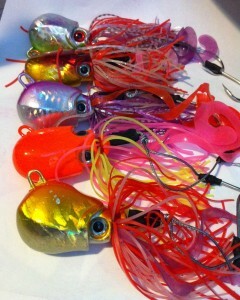 it is a lot more fun fishing with ling cod jigs instead of live bait. 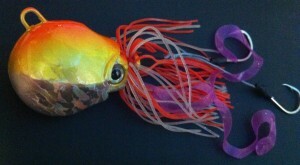 Check out our shop lures page to order some lingcod jigs and get hooked up!